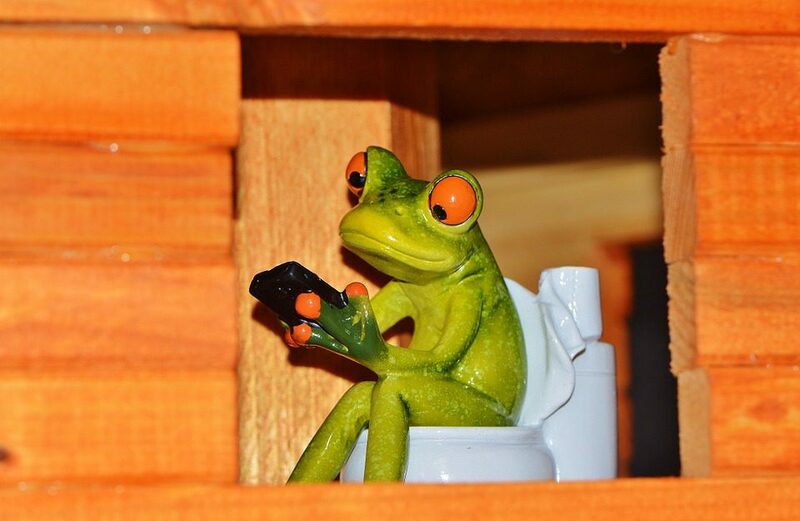 Sometimes clean bathrooms smell like urine. Why? The problem is simple. It is also common. The old fellow must have missed the toilet every day for years. It smelled of urine and there was a ring of rot around the bottom. My clients may have been right about the ring of rot and the smell, but they were wrong about the gentleman’s aim. The cause of this problem is a loose toilet. 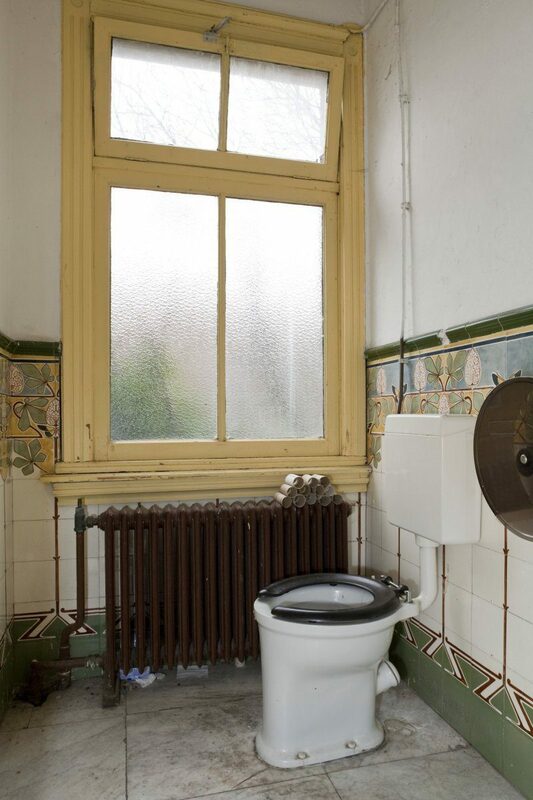 Over the years, the two screws that hold the toilet to the floor will loosen up. 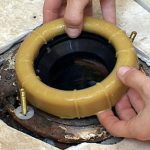 Then, every flush allows a couple of drops of toilet water to leak through the wax seal inside the toilet. Drip, drip. Many years later, rot around the toilet and a urine smell. The drips land on wood beneath the tile or vinyl floor and grow more malodorous over time. Not only will this create an unretractable smell, it also damages the floor under the toilet. This can become a pretty expensive project to repair. If the wood gets rotted, the under-flooring and flooring have to be replaced. Since you and your family sit there, it is important that the “throne” is sitting on solid wood. Simple problem. Simple solution…But wait! There is also a simple catastrophe, if you rush in to fix this. Tighten those toilet screws slowly. Maybe a quarter turn at a time, then go to the other side. Toilets are surprisingly easy to crack. So, a little bit…switch sides…a little more until it is snug. 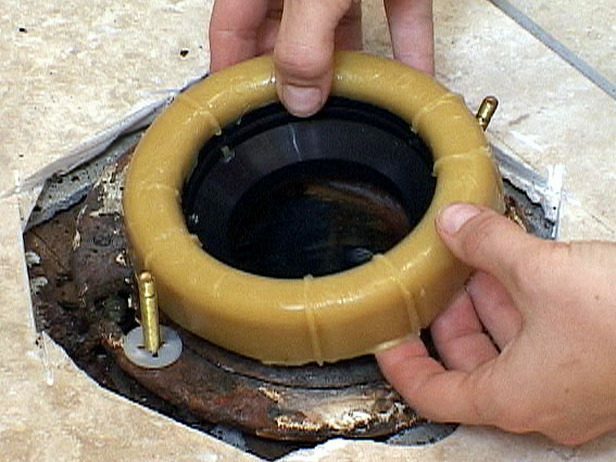 Sometimes, the wax ring that is sealing the toilet to the top of the pipe is too damaged and needs to be replaced. If you tighten, but it still seems wobbly, it may need a new ring. Some do-it-yourselfers can manage this, but a plumber will do it more definitively. I found out about cracked toilets when I was renting a place near Port Jefferson Harbor in New York. One of my housemates, Ricky Bader, took it upon himself to fix our toilet. A few minutes into the job, a word that I can’t print here was heard throughout our little cottage. I couldn’t understand how he managed to crack a thick ceramic toilet. He must have been acting like a macho fool. I gave him no sympathy. I was wrong. Ricky, are you out there? I owe you an apology. So, check your toilet. Tighten it carefully, if it is loose. If it still seems off-balance, call a plumber.